The easiest way I know of is to use a mixture of Isopropyl Alcohol (Rubbing Alcohol) and White Vinegar. Since I don't want to face the commitment of mixing the two fluids into one spray bottle, I use two separate bottles and just do an equal amount of sprays from each bottle, usually spraying at the same time so I don't have to count. I use this on a number of items in my loadout. I recently went out to the world-famous SC Village, home of the SC Viper Airsoft MOUT Facility that many of you find as an attractive place to play Airsoft. 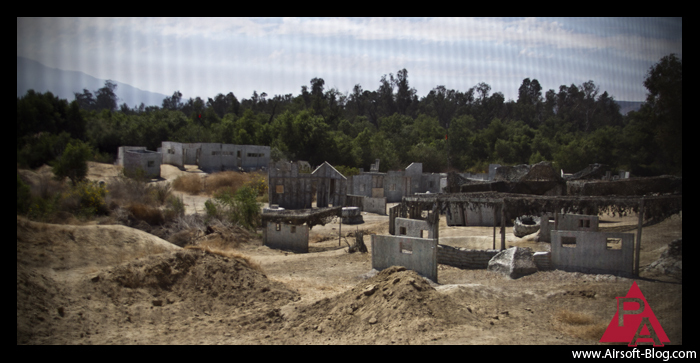 The problem with SC Village is that its primarily a paintball park, so during the day games, we played on some of the paintball fields containing building structures & such, which of course, were covered in paint. This paint then transferred itself to my nice 5.11 Tactical VTAC gear, which makes me sad. However, using my mixture of Rubbing Alcohol and Vinegar, it scrubbed right out, good as new. I was no longer sad at this point. One particular piece of gear that I find this cleaning solution useful on is my face mask. I actually use one of those wire mesh, lower face masks plus a set of ESS Turbofan goggles, as opposed to a full face mask which includes eye protection, but either way, this works nicely. I prefer using the Isopropyl Alcohol/Vinegar mix over something like Lysol because they are both natural or organic liquids. Whether or not that really makes any difference at the end of the day is unknown to me, but it makes me feel better. Perception is reality, right? Especially for your tactical gear, it's always best to check with the manufacturer of your gear to see what they recommend for cleaning. They may even have it listed on the tags of your gear, like regular clothes would have. 5.11 Tactical recommends you machine wash in cold water with a light detergent and then let air dry. But that's not as exciting as spraying down your gear rubbing alcohol & vinegar. I also don't like doing laundry, even if it's tactical laundry, so using the method I've described is a lot easier. If applied in the correct amount, once your gear dries, it should be odorless in terms of the alcohol/vinegar solution. It should just smell like the cordura material. Sometimes I overdo it a bit with the vinegar and even after it dries, still has a detectable scent, and in that case, I just splash a little Febreeze on there and I'm good to go. Usually the smell goes away on its own, but if I spray my gear the night before a game, and then I go to put it on the next morning, it can be more noticeable. I'm not saying this is the only way to clean your gear, but it's the way I usually do it and it does a pretty good job. 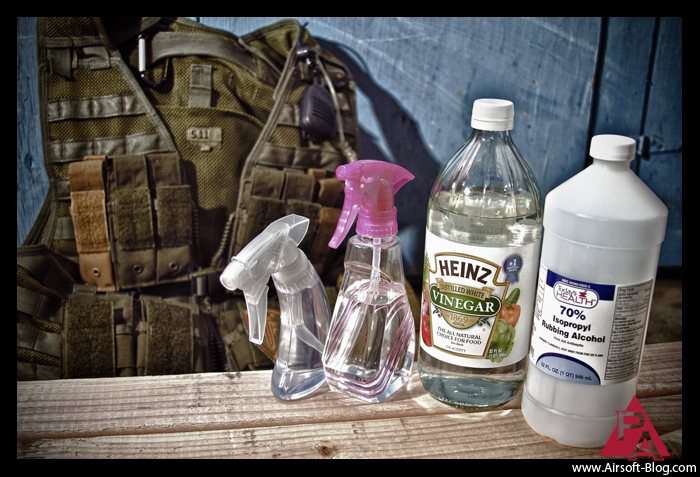 I've been pretty impressed with the job its done deodorizing some of my pretty odorized tactical gear.